Inspired by Strongmen and Strongwomen. I worked at the gym on Sunday and got to hang out with the Strong Men/Women. Inspiring people each and every one of them. They defy the norms and that is something to celebrate. These individuals don’t care what you look like, whether you’re short or barrel like, they care about one thing, that you try to lift big weights! They work with random instruments… the log press, the yoke, the circus dumbbell and atlas stones. They push and pull weights and we wonder how the hell do they lift that heavy? How are they pulling that truck?! They push their bodies to extremes…just like any other athlete and it may not be pretty but damn if it’s not impressive. The first time I tried strongman I was nervous. There was no way that I was going to lift that truck tire before me. Once I had the technique down nothing was stopping me and I literally felt like I could lift anything! If you’re looking to build strength and you’re not interested in going to a gym or doing cardio, try strongman. It’s a lot of fun, you get to play with some awe inspiring tools and you feel cool doing it. 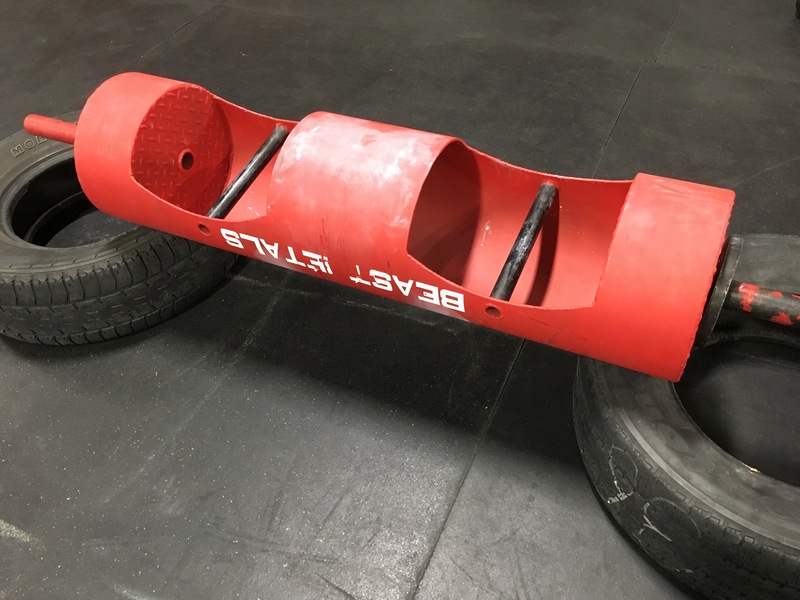 If you’re wondering where to find out more about it most CrossFit gyms will have a contingency that does strongman on the side. Same at my gym. For more information you can click on the links below. Until next time.